First impressions are important. In fact, according to Princeton psychologists Janine Willis and Alexander Todorov, our brains decide whether a person is attractive or trustworthy within just a tenth of a second. So, for marketers looking to make a great first impression on their viewers and potential customers, it’s important to do so fast. 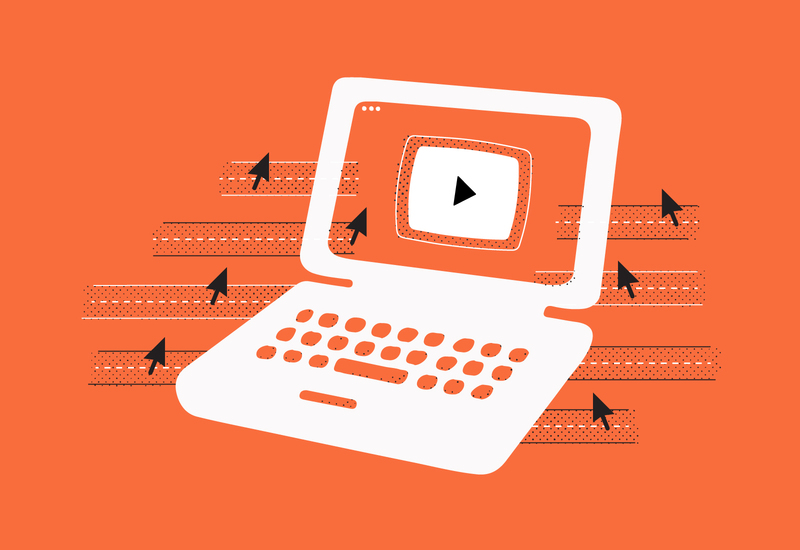 When it comes to hosting videos on your website, video thumbnails are that first impression. That’s why you should always consider the impact your thumbnail has on capturing your viewer’s attention. Without an effective one in place, your video may be less impactful, or worst of all, go unplayed. 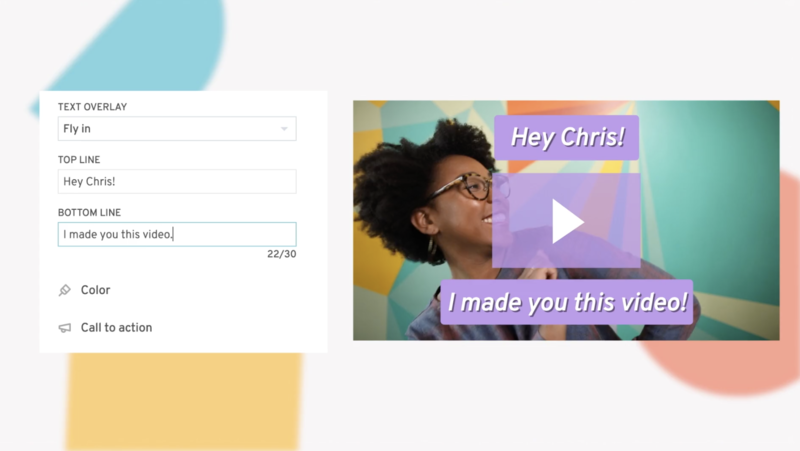 With Wistia’s brand new Thumbnail Editor, you can now easily edit your video thumbnail in more dynamic ways to encourage viewers to hit that play button. And what marketer doesn’t want more plays on their videos? That’s what we thought! 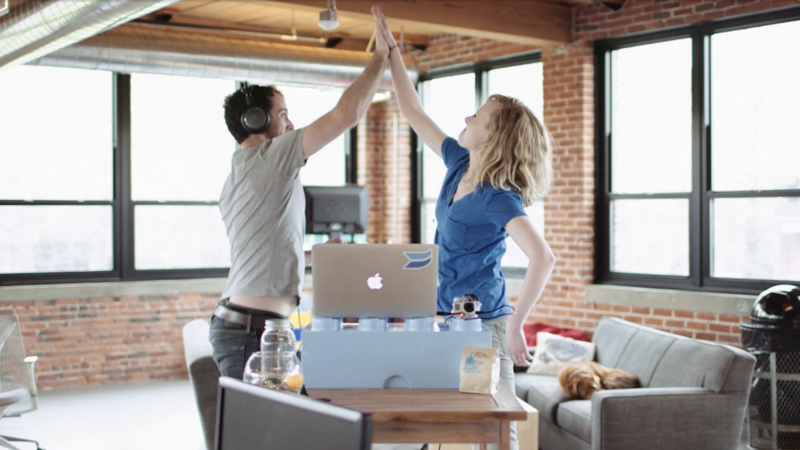 Here at Wistia, we’re passionate about helping our customers use video to better market their business. You already know you can easily match your player color to your brand, and with our brand new Thumbnail Editor, you can now add text or use a looping video to take that brand touch to the next level! 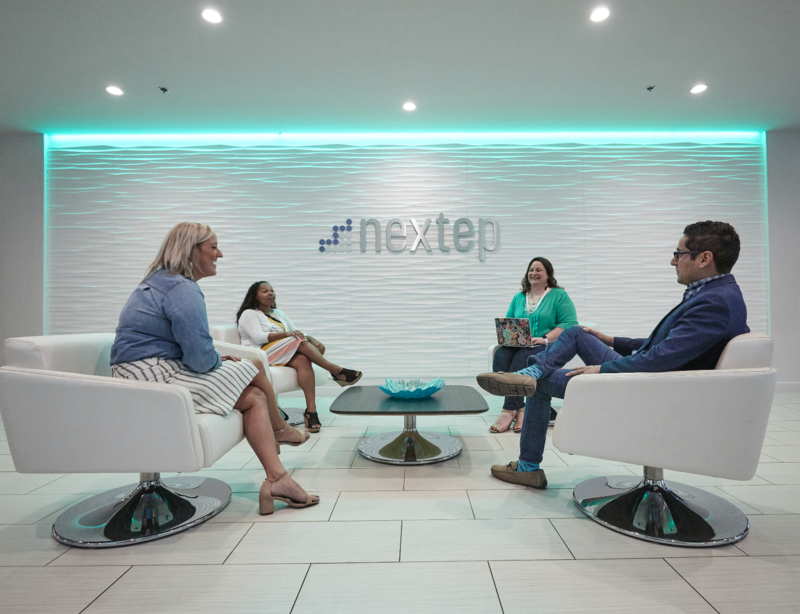 Ultimately, we want you to have control over your viewer’s entire experience, and with more compelling visuals, you’ll start to see even more impressive results. Whether you’re focused on moving viewers through the funnel or showcasing your brand in a more engaging way, video is the perfect medium — and an eye-catching thumbnail can help you achieve those goals. Give your videos a visual boost with text or a looping video thumbnail, and get more plays compared to traditional, static images. If you’re an eager beaver like us, you may just want to jump right in and start playing around with this new feature yourself — go right ahead! Anyone with a Wistia account, regardless of what plan you’re on, can use the Thumbnail Editor today! To get started, select a video from your account, and then simply click into the Customize panel and select the Thumbnail settings area. From there, you’ll be able to choose the type of thumbnail you’d like — a static image or a video — and the configuration settings. With an image thumbnail, you can include a simple text overlay on your video (like we did in the example above). Don’t be afraid to play around with line breaks to get your thumbnail looking just the way you’d like it to. We burn the text overlay onto your thumbnail image. So, if you’d like to download the image to use elsewhere when promoting your video, just head into the Embed & Share setting and grab the image from the Email Campaign tab! If you decide to go with a video thumbnail, you can also add a text overlay to your looping video clip. As a general best practice, we recommend keeping the clip short and sweet — anywhere between two and five seconds long. You’ll want to keep it snappy to avoid confusing your viewers or overloading your bandwidth. Keep in mind that a video thumbnail will affect your bandwidth ever so slightly, so having your video thumbnail on the shorter side is ideal! The name of the game here is experimentation. Add an eye-catching text overlay or create a looping video thumbnail (or both!) and start pumping up those play rates. We’ve talked a pretty big game so far about the impact thumbnails can have on your videos, and by now you may be a little bit skeptical about all the hype. Don’t worry, we put these custom thumbnails to the test! To determine whether or not video thumbnails encouraged more clicks than static images, we ran an A/B test on one of our own videos. Using our Google Analytics integration, we identified a few highly trafficked pages on our site that featured videos. 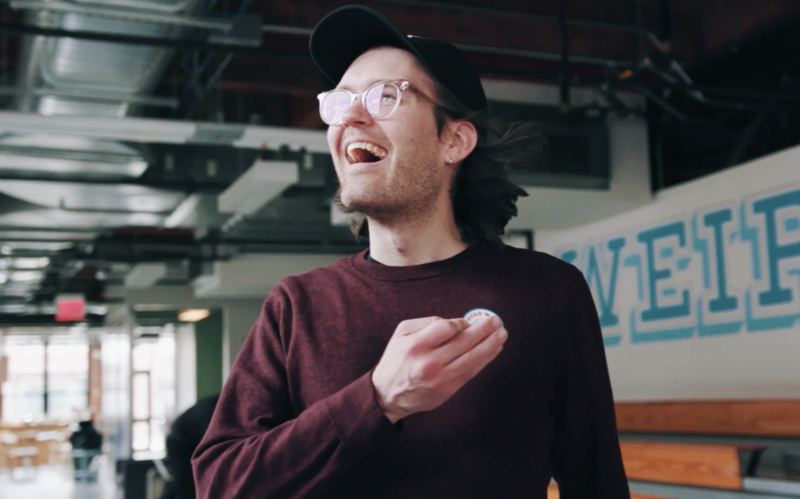 Our "About Wistia" page immediately stood out to us as a top contender, as it continuously receives a ton of traffic and prominently features a video. Then, we created a video thumbnail with our new Thumbnail Editor feature and tested it against the static thumbnail image. Our hypothesis was that the video thumbnail would have a higher play rate than the static one and (spoiler alert) — it did! We saw a clear increase in play rate and play count for the version with the video thumbnail. 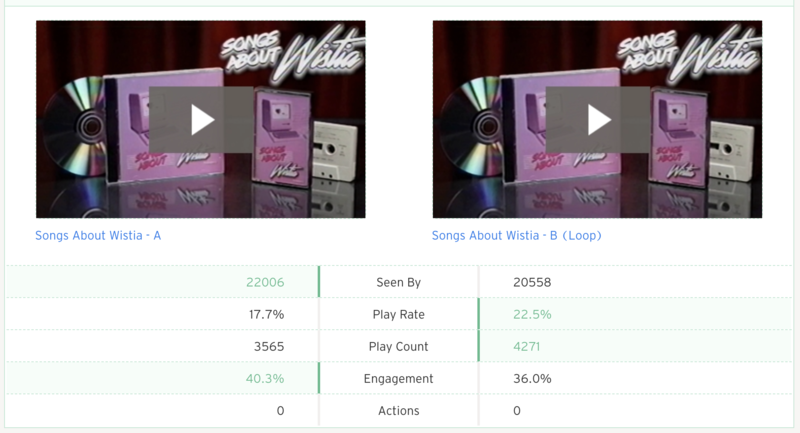 When testing the static image thumbnail (version A) on our “About Wistia” video against the video thumbnail (version B), we found that version B had a higher play rate, at 22.5%. And for all you data nerds out there, we used an A/B testing calculator to ensure that these results were statistically significant at a 99% confidence interval. Not only did this one simple experiment increase our play rate, but it inspired us to test customized thumbnails on three other videos. Three out of four A/B tests (so far) have shown that customized thumbnails generated a higher play rate and play count than static ones. And this is only the beginning for us when it comes to A/B tests — we’ll continue to run more experiments and share those results with you so we can all have the most engaging thumbnails out there! Stay tuned. Got the data bug and want to start running some A/B tests on your own videos? That’s what we love to hear! 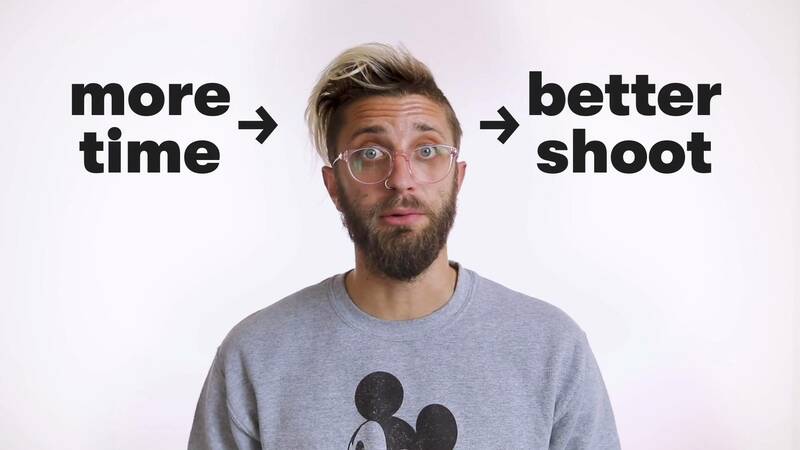 Here at Wistia, we’re big fans of taking some of the guesswork out of your marketing with A/B tests. If you’re ready to start digging into what makes your viewers tick, here are a few factors to keep in mind when it comes to choosing which video thumbnails you want to test! Keep play rate in mind. When deciding which videos you want to test, we suggest choosing ones with either a very high play rate or a very low one. With a high play rate video, you’ll have a better chance of getting statistically significant results because of the volume of plays. And with a low play rate video, you’ll have the opportunity to find out if changing the thumbnail actually has an impact on moving the needle on your play rate. Choose a page with significant traffic. Make sure you choose a page with a video that actually has the chance of being watched. It may be scary to run a test on a page where lots of folks visit, but that’s actually exactly where you want to be testing your videos. If you bury your thumbnail test on a page deep within your website, chances are you’ll have a harder time getting enough views and clicks on your video to have the results be statistically significant. You know the familiar philosophical debate: If a video lives on a page and no one is around to watch it, does it make a sound? Regardless of how much time you’ve spent perfecting the creation of a video itself, it fails to do its job if no one’s watching it — and that’s where an engaging thumbnail can save the day. We can’t wait to see all the success you have with this new feature, so be sure to share your results with us! Happy testing. Despite their somewhat underwhelming title, thumbnails deserve your attention! Here’s how you can make yours look great.